Sprockets are an integral part of any drive system, with failure leading to extended downtime and possible damage to the drive chain. Tsubaki manufactures sprockets from the highest quality, heat treated steel to take on any challenges an application may present. Resistant to shock loads and wear - and requiring minimal maintenance - Tsubaki sprockets make a perfect complement to any Tsubaki chain. We offer roller chain sprockets, engineered sprockets and even wear indicator sprockets for maintenance notification. Chain and sprocket always work together, so it makes sense for end users to choose a single supplier for both. System performance highly depends on chain-sprocket interaction, which means your choice of sprockets can elevate your operation’s success. 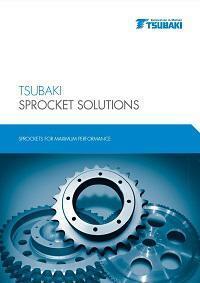 Make the right and easy choice with sprockets from Tsubaki.